Founder of Interior Define, Rob Royer. 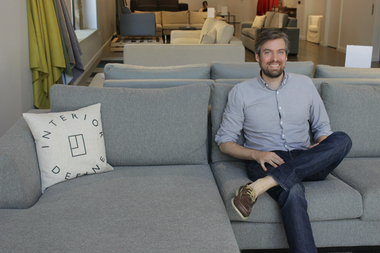 LINCOLN PARK — An online company that sells custom-made sofas recently opened a brick-and-mortar shop and office in Lincoln Park. 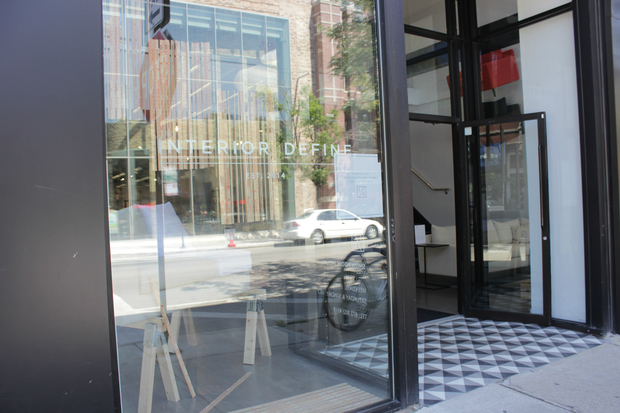 Interior Define, 833 W. Armitage Ave., is slated to officially open to the public in September. Until then, shoppers are invited to wander in and take a peek. The bottom floor serves as a showroom, where custom-made sofas and armchairs upholstered in high-end, Italian fabrics are on display. The second floor is where the company's online employees work. Interior Define's custom-made sofas, which range in size, cost anywhere from $800 to $2,800, but many are available in the $1,500 to $1,700 range. The inside of the showroom. "There are really very few limitations when it comes to customization. 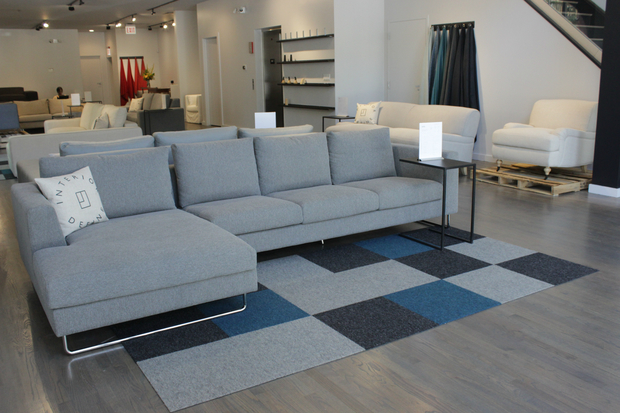 We can turn any sofa into any configuration," said founder Rob Royer. Royer said his company is unique because all of the furniture is made-to-order, meaning it doesn't carry any sofas or armchairs in stock. "We control the manufacturing process. Sofas aren't stored in a warehouse. They're made on a rolling basis and shipped directly to customers," he explained. Another element that sets Interior Define apart: Shipping is included in the price of purchase. Interior Define started as an online company in January of 2014. Royer initially opened a brick-and-mortar shop in Wicker Park. But he recently decided to close that location when he found the Lincoln Park space, which offers enough room for both a showroom and an office and was a "better representation of the brand," he said. Royer said he's excited to join the other online-focused shops in the neighborhood. "The same people shopping at Warby Parker and Bonobos are really relevant to our target consumer," he said. Plus, Lincoln Park is where his wife works — she runs kids clothing store Monica and Andy, 2038 N. Halsted St., right around the corner — as well as his brother-in-law, who runs the men's clothing store Bonobos, 845 W. Armitage Ave., a brick-and-mortar branch of the online retailer.